Manchester United suffered a heavy blow in their race to earn a top 4 spot in the Premier League this season, as they were handed a 2-1 defeat by Wolves on Tuesday. 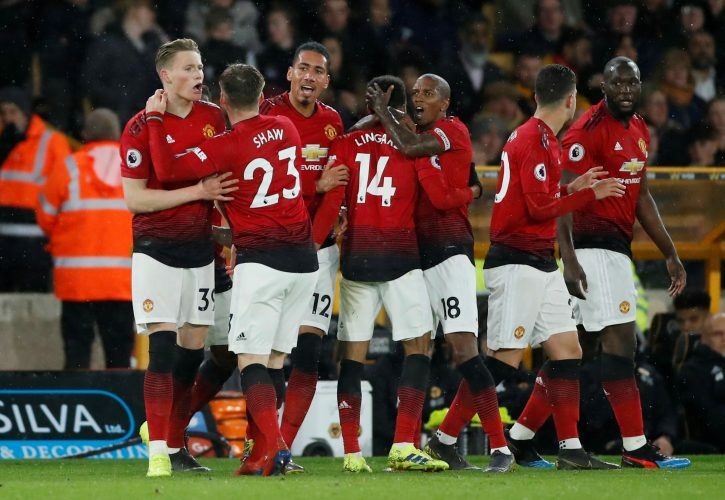 Despite having dominated the game early on and taken the lead through a Scott McTominay goal, the home side managed to turn the tie around successfully, with Diogo Jota and a Chris Smalling own-goal sealing the Reds’ fate on the night. Supporters of the Mancunian outfit were heavily critical of their side’s performance, with Ashley Young, who was sent off in the second half, and Paul Pogba being the most targeted players after the game. While the team that was fielded onto the pitch was blamed for the defeat, a few United players on the substitutes’ bench were also slammed to a great degree after the full-time whistle. During the final minute of the game, cameras panned towards Ole Gunnar Solskjaer, who watched his team succumb to a third defeat in four games from the touchline. Also in the shot were Manchester United substitutes Sergio Romero and Marcos Rojo, who were seen laughing and cracking a joke while sitting on the bench behind the Norwegian gaffer. The Red Devils’ fan-base certainly did not take to their actions too kindly, with most supporters finding their jovial mood whilst their teammates faced a certain defeat on the pitch simply unacceptable. While some expressed their disappointment with the Argentinian duo through social networking website Twitter, others called for a summer offloading straightaway. Also good to see Romero and Rojo having a good laugh in the final minute. Put them top of the list. Rojo and Romero laughing at the end when we're losing and probably miss out on top 4. Get out of my club. Makes me sick how Romero and Rojo find it funny to lauph in the 94th minute anyone notice this?